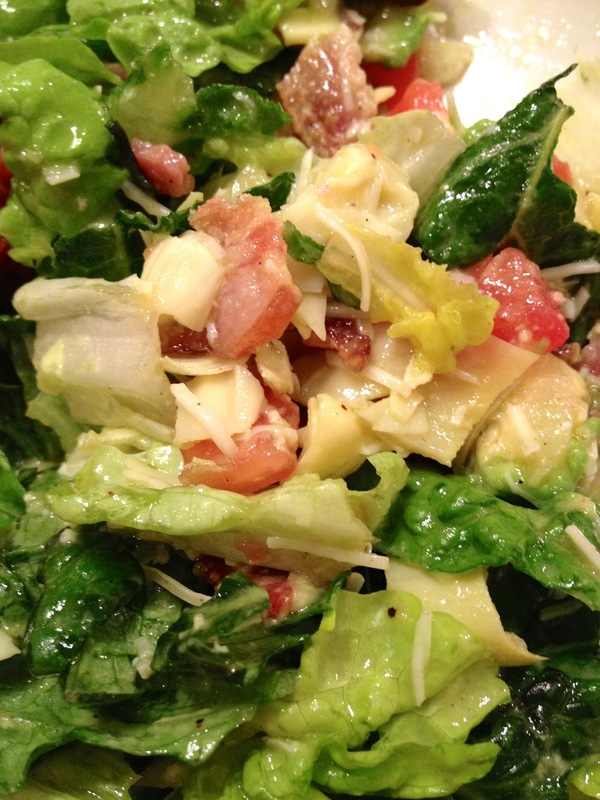 Start by tearing your butter lettuce and spinach and placing it in a large salad bowl. Never chop your leafy greens with a knife as the sharpness perforates the cells and they basically go limp and wilty. We are going for a fresh crisp salad here. Now add the remaining salad ingredients on top and cover until you are ready to serve. For the dressing combine all ingredients into your blender and let your blender run for about 30 seconds to emulsify everything together. Don't you just love homemade dressings? I do. They are so much fresher tasting and preservative free plus you have the ability to play with it and add less or more of those ingredients you love. Once you are ready to serve the salad, pour the dressing on and toss everything together. I'm sure you will love this gem of a salad as much as I do!